I finally decided to take time and make 1920's inspired look. Don't you just love that flapper era? I think i was born in that year and just reincarnated. LOL! I was also going for the nautical look since i was wearing my striped blue shirt. Reminds me of the Naughty/Nauticals of Mac. lol! 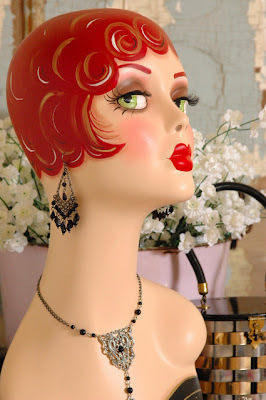 saw this pic when i googled flapper era for this blog. Isn't she cute?